Keeping digital records and files safe is a relatively simple process. The right software will offer the protection you need to run your business and minimise malware threats. Digitalisation improves efficiency and profitability but it can also increase vulnerability to computer hacking and malware – infiltration by malicious software that can damage systems or threaten data security. Along with the benefits come risks, which is why businesses always need to include security on their list of considerations when digitalising their operations. Among various threats, the most feared is known in the industry as a zero-day attack, one that can have serious consequences for businesses, be they large multinationals or SMEs. Hacking has existed from the earliest days of linked networks and software developers are always alert to the possibility their products may be targeted. When they spot a vulnerability, they are normally able to fix it with the next update and, in the case of serious threats, provide a security “patch” or workaround in the meantime. The number of days they have to do so in advance is often used as a descriptor, so a threat that has been known for a month, say, might be termed a 30-day vulnerability. Thus, a zero-day attack is one against which developers or security teams have literally zero days to respond before it becomes active: in short, no time at all. What this means is that a such an attack will have a very high probability of succeeding, resulting in damage to networks or data breaches. Affected businesses could experience disruptions to critical functions such as payment systems or find some of their data, including financial information or passwords has been stolen. Through its Software-as-a-Service (SaaS) solutions, Singtel offers Office 365 Security and Compliance, a comprehensive suite from Microsoft to help businesses secure, control and protect their assets. Office 365 Advanced Threat Protection can help guard mailboxes, files, online storage, and applications against new, sophisticated attacks, including for Microsoft Teams, Word, Excel, PowerPoint, Visio, SharePoint Online, and OneDrive for Business. By protecting against unsafe attachments and expanding protection against malicious links, it complements the security features of Exchange Online Protection to give better zero-day coverage. 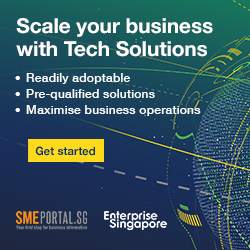 Singtel provides consultations and workshops to help businesses deploy and adopt these solutions seamlessly. Contact us to find out more.